• Academic profile: The middle 50% of students have ACT scores of 19–27. • Guarantee: First-year undergraduates who follow a few simple guidelines will graduate from St. Scholastica in four years—guaranteed—or subsequent years are free. • Financial aid: 100% of undergraduate students receive financial aid. • Career placement: 98% of graduates are in career fields or graduate school within six months of graduation. 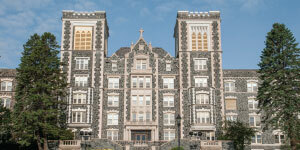 Founded in 1912, The College of St. Scholastica is a respected leader in nursing and health care education. In 2016, the College invested in building a 45,000-sq. ft. state-of-the-art Health Science Center. Now open to our Physical Therapy, Physician Assistant, and graduate students, the Health Science Center features classrooms and laboratories furnished with state-of-the-art equipment. It includes the maurices Community Clinic, a learning clinic that will serve uninsured and underinsured patients while providing students with real-world experience. Our School of Nursing is one of the largest in the state, with about 1,000 students enrolled each year in our nationally recognized programs. It features three baccalaureate degree offerings: traditional undergraduate, postbaccalaureate, and RN–to–Bachelor of Science online. We also offer a Bachelor of Science–to–Doctor of Nursing Practice (DNP) degree, with specialties in Adult/Geriatric Nurse Practitioner, Family Nurse Practitioner and Adult/Family Psychiatric Nurse Practitioner, and a post-master’s DNP. 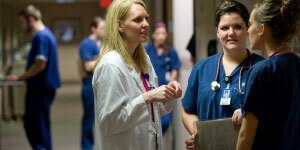 Our Veteran–to–BS in Nursing program is specially geared toward helping military veterans pursue a nursing career. The program features small cohorts, clinical experiences, and advisement and support from military veteran faculty members. Our new Health Humanities major (and minor) is a perfect complement to our existing programs and Benedictine values. Reflecting a current shift in the health care world toward patient-centered care, this program puts the focus on empathy and human dignity. 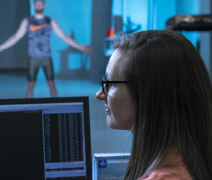 The School of Health Sciences includes programs geared toward producing real-world practitioners: Athletic Training, Exercise Physiology, Health Informatics and Information Management, Occupational Therapy, Physical Therapy, and Social Work. The School of Sciences offers programs in Biology, Chemistry, and Biochemistry; Mathematics, Psychology, and Sociology; Gerontology and Pre-health Professions; and Natural Sciences. St. Scholastica emphasizes student-faculty research, with close mentoring from professors and industry-leading professionals.